First found decorating the facade of an ancient church, the face of the greenman is ambiguous in its roots but makes an appearance throughout ancient history, medieval illustrations, and architecture. We offer an incredible variety of greenman plaques and statues here, all featuring the leafy face of this mysterious forest figure. 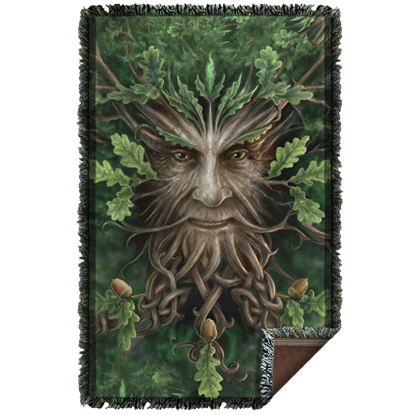 Our greenman plaques feature greenmen faces surrounded by foliage or even appearing to be made up of foliage themselves. Many are made of high quality cold cast resin and painted by hand, and some are suitable for outdoor display. As the seasons change, so too do the leaves of most trees. As such, we offer greenman items here that fit into winter and fall as well as summer and spring. Check out greenman statues meant to look as though trees have come to life or that look like the face of a gentleman within the bark of a tree. For all our greenman wall plaques and greenman statues, this is the place to shop. When you find yourself shivering on a cold wintry night, never fear because the Oak King will be there to keep you warm and cozy! 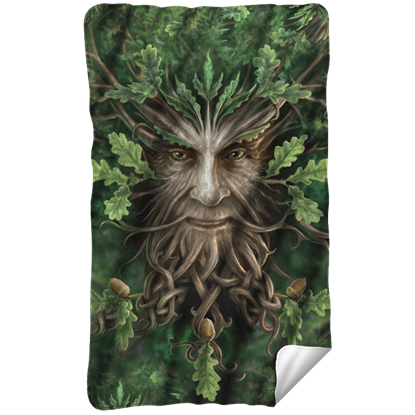 This Anne Stokes Oak King Fleece Blanket makes the perfect home accent for anyone who enjoys Greenman. Your style deserves a place in every aspect of your home. With this Anne Stokes Oak King Woven Blanket, you can curl up, relax, and stay toasty under a blanket that features the stunning fantasy artwork of the incomparable Anne Stokes. When you are sitting on your couch, make sure you have something to smile at with this Large Anne Stokes Oak King Pillow. The incredible art of Anne Stokes is now available in home furnishings, like this eye-catching throw pillow. Nature and human life are connected in so many ways. 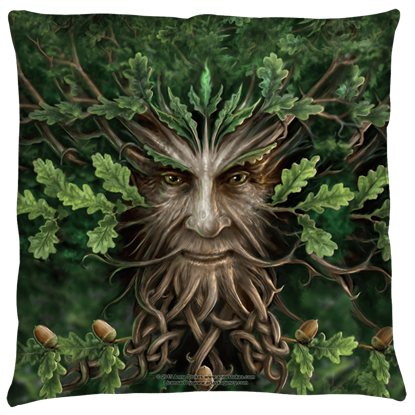 Depicting her own unique version of Greenman, the Small Anne Stokes Oak King Pillow brings the art of Anne Stokes into your home and shows the relationship between man and plant.